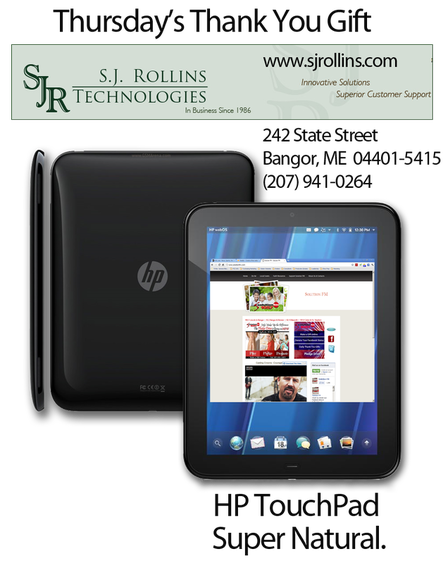 Everyone that calls today during Pledge Drive will be entered into a drawing to win a Thank You Gift of a HP TouchPad, courtesy of SJ Rollins Technologies of Bangor. Call NOW with your best gift at 262-1057. 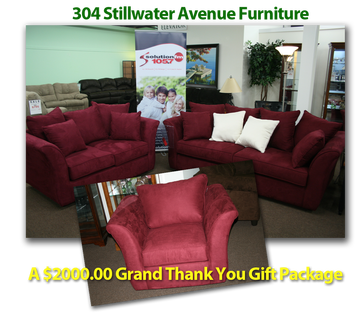 Everyone that calls during Pledge Drive will be entered into a drawing to win a Grand Prize Thank You Gift Package - a Living Room Set of Couch, Loveseat and Chair, courtesy of 304 Stillwater Avenue Furniture of Bangor.